Have you always wanted to keep a travel sketchbook but it never seemed to work out? Have you brought your paints and supplies, only to leave them in your suitcase the whole trip? I have a long list of tips and helpful strategies to help you fill your sketchbook, even if you are traveling with non-artists. After years of traveling and sketching I have learned what works and what doesn’t. I was sitting on the dirty cobblestone steps, directly across from St. Mark’s in Venice, Italy. April was 13 years old and she sat down in front of me so I could rest my pad on her back. The sun’s heat burned through the light cotton fabric of our shirts. People hurried to eat oversized cones of gelato that dripped on the sidewalk at their feet. We smelled garlic from the restaurant next to us. When you keep a sketchbook, you come away with artwork of your travels but, more than that, you will have lasting memories. 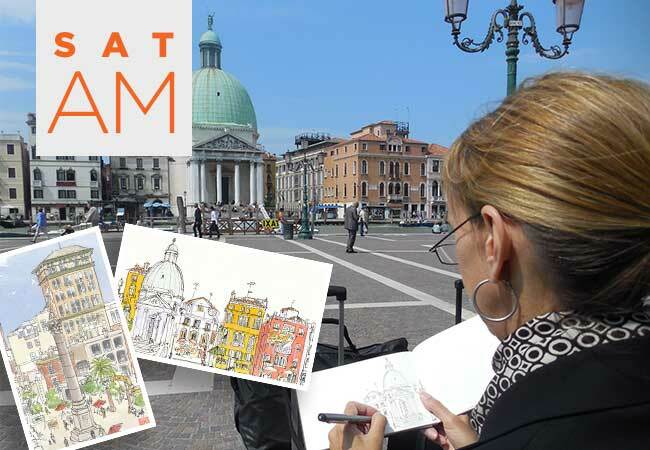 ​In this class we will go over strategies that will help you keep a sketchbook while traveling. We will also fill a few pages with sketches from life as well as from photos. We will use pen & ink and watercolor for fresh, quick studies. Space is very limited so sign up soon! Students are encouraged to bring a drink and snacks. Student parking available in back lot. Lori Mitchell graduated with honors from the internationally renowned Art Center College of Design in Pasadena, California with her BFA. Lori Mitchell wrote and illustrated the award-winning children’s book, Different Just Like Me, for which she appeared on Oprah and the Today show. 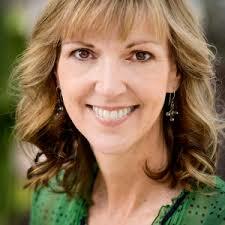 She has illustrated 9 more books since, including Holly Bloom’s Garden and her latest, Bal Yoga for Kids, which won the San Diego Book award. She also does advertising and editorial illustrations. She teaches Pen and Ink and watercolor at the Athenaeum and Animal illustration and Pen & Ink at UCSD Extension for the Children's Book illustration certificate. Taught Drawing and Composition at Palomar College in San Marcos, CA for 14 years. "ART ON 30TH IS LIKE MY GETAWAY WHERE I CAN EXPLORE MY CREATIVITY, LET LOOSE, AND BOND WITH AMAZING PEOPLE." Don't miss out. Be the first to know when we have new classes, artist opportunities, gallery events, and more! "An art center focused on community: where artists come to grow"